Demolition workers from Morden based company Sloan Demolition have moved onto Arlington and have started work on stripping out shops in preparation for demolition. Leaseholder, Freshwater’s 2010 planning permission for an 82,000 sq ft Tesco superstore and outline planning for a hotel facing the main sands expires on June 6th. If works are deemed to have been started (and that’s a formal process) then the permission stands in perpetuity. I.e. works could be started, such as demolition, and then stop unfinished for years. Tesco pulled out of the deal in October 2014. Since then, no known supermarket or hotel partner has emerged as interested in building the approved superstore or hotel. Freshwater lease Arlington (the residential tower with over 100 apartments, the 500 space car park and the commercial areas on a full repairing lease agreement from Thanet Council at the cost of just £7,500 per year (seven thousand five hundred pounds). Demolition requires approval from freeholders Thanet District Council. To date, there are no published permissions from Thanet Council allowing demolition work to commence. The timing of these works appear to be a ploy to constitute a start on site under The Town & Country Planning Act 1990. This is required by Conditions 20 and 26 of the Planning Approval relating to demolition. Basically, they should set out how the demolition process will be carried out. E.g. how they will remove waste. The Leaseholder is not permitted to commence demolition without first acquiring Landlord’s (Thanet District Council) Consent to structural alterations to buildings in accordance with clause 3. (xii) of the Head Lease. Write to Thanet Council (customer.services@thanet.gov.uk) and, if you’re a resident of Thanet, your Ward Councillors to demand they do not grant Freshwater these permissions; because there is no evidence of a supermarket or hotel partner to implement the approved scheme. Instead demand the shops and car park be open to the public, maintained and lit as per the terms of the lease. Freshwater are an immensely rich company with directors now officially billionaires. Thanet Council, as the freeholder should be enforcing the Arlington lease on behalf of the people of Thanet, thus ensuring the best value and the best outcome for this prime seafront location on Margate sands. It can once again contain small businesses and provide valuable and badly needed parking. Since the planning consent was applied for in 2010, Margate has moved on. Turner Contemporary is open. Dreamland is now open and needs car parking. The Arlington car park can take 500 vehicles and is built to take coaches. There are many people who would rent a shop at Arlington if the shops were reopened. Margate seafront now has footfall – The council must not give permission for demolition. 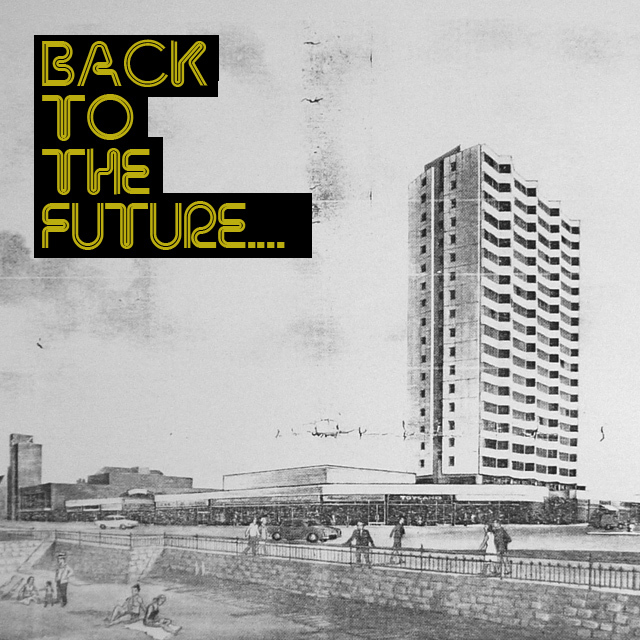 Demolition would result in a boarded-up wasteland at the entrance to Margate with no plan. The car park is a condition of the lease and essential to the traffic strategy. Parking at the entrance to the town avoids the need for visitors to Turner, the beach, Dreamland and the Old Town driving along Marine terrace, preventing the aspirations for a pedestrian friendly seafront. Today’s judgement from the Court of Appeal has been handed down. Unfortunately, the Court of Appeal did not find in favour of the appeal. We are pleased to see that the Court of Appeal has recognised the importance of regeneration, and it may well be that the decision by Tesco to pull out will enable really meaningful regeneration of the town centre and seafront, which is so essential for Margate and the region. We are now considering the options of whether to appeal the Court of Appeal decision. It does on the face of it seem to be a bit unusual that very important local matters such as sewage discharge, flooding and traffic and a supermarket at the Arlington site can simply be left hanging in the air without full environmental assessment. The Court of Appeal Judgement, 7th November 2014.